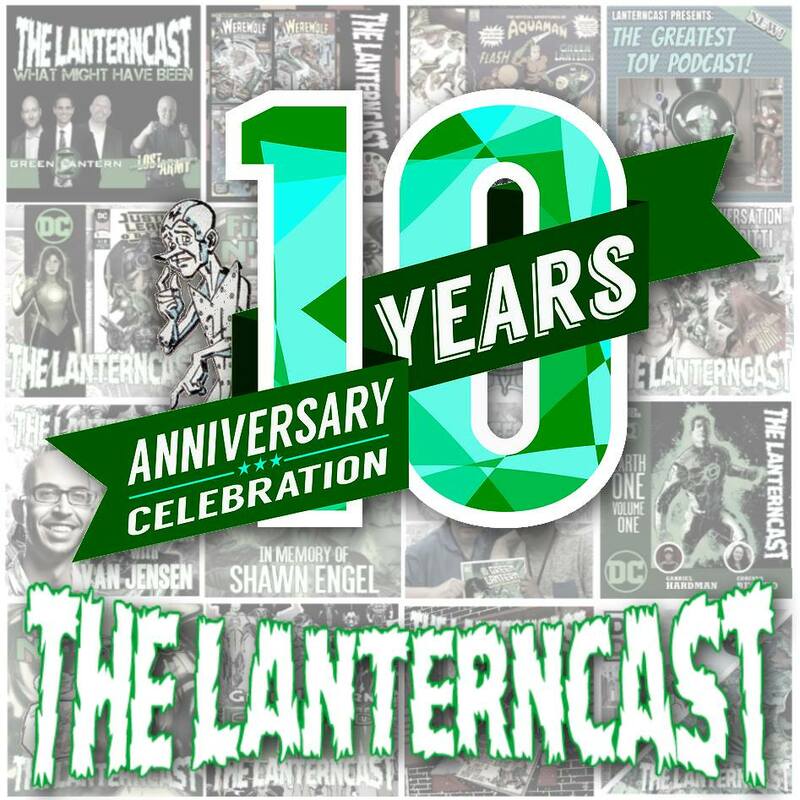 LanternCast Episode #346 – 10th Anniversary & 2018 Christmas Celebration! Ten years ago, two guys who met on a comic forum started a podcast dedicated to the Emerald Gladiator himself, Green Lantern! Five years ago, Jim and Dan handed their passion project off to Mark and Chad! Today, we celebrate a solid decade of reviews, commentary, theories, and discussion. But most important of all, we celebrate the friends we’ve made and the shared fandom which brought us all together along the way. Happy Anniversary and Merry Christmas! If you missed the deadline, don’t forget to leave us a voice-mail at 708-LANTERN! 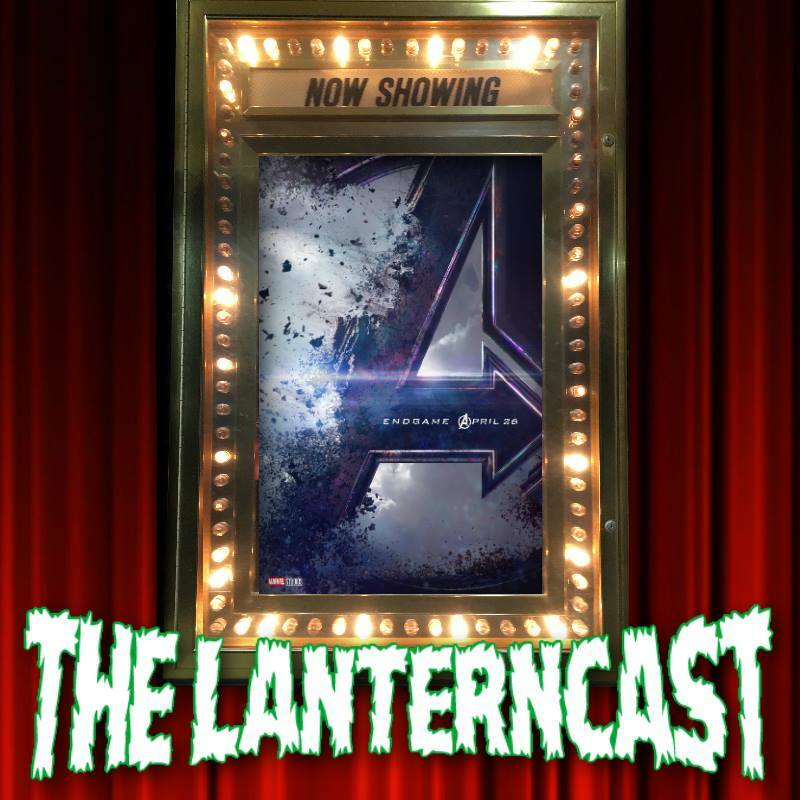 LanternCast Presents: Avengers: Endgame Trailer Talk! Chad and Mark spend more than a few minutes breaking down the much-anticipated Avengers trailer! There are rants, arguments and much more to talk about than you would have expected from a two minute trailer! Take listen and let us know what you think via email or our voice-mail at 708-LANTERN! 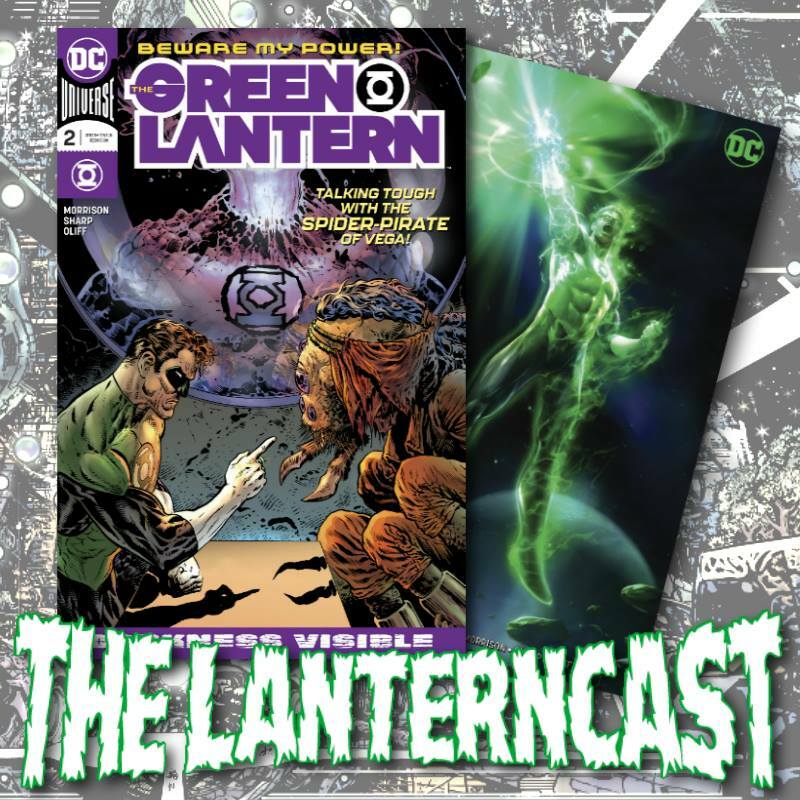 LanternCast Episode #345 – The Green Lantern #2! Mysteries deepen, Evil Star returns and Hal Jordan seemingly loses EVERYTHING in The Green Lantern #2! Chad and Mark also discussing critiquing comics, before jumping into the “Reign of the Supermen” trailer and ending with the second “Captain Marvel” trailer! Be sure to email us your thoughts or chime in on our voice-mail at 708-LANTERN! 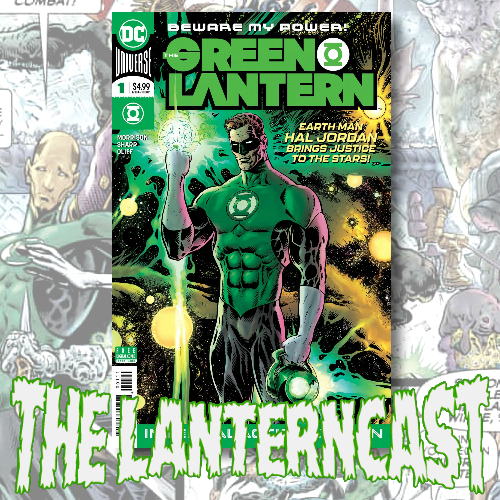 LanternCast Episode #343 – The Green Lantern #1! It all BEGINS here as Grant Morrison’s run writing Hal Jordan kicks off with The Green Lantern #1! Chad and Mark break down the good, bad and interesting aspects of this premiere issue, as well as responding to YOUR thoughts and feedback on it! Be sure to email us your thoughts or chime in on our voice-mail at 708-LANTERN! 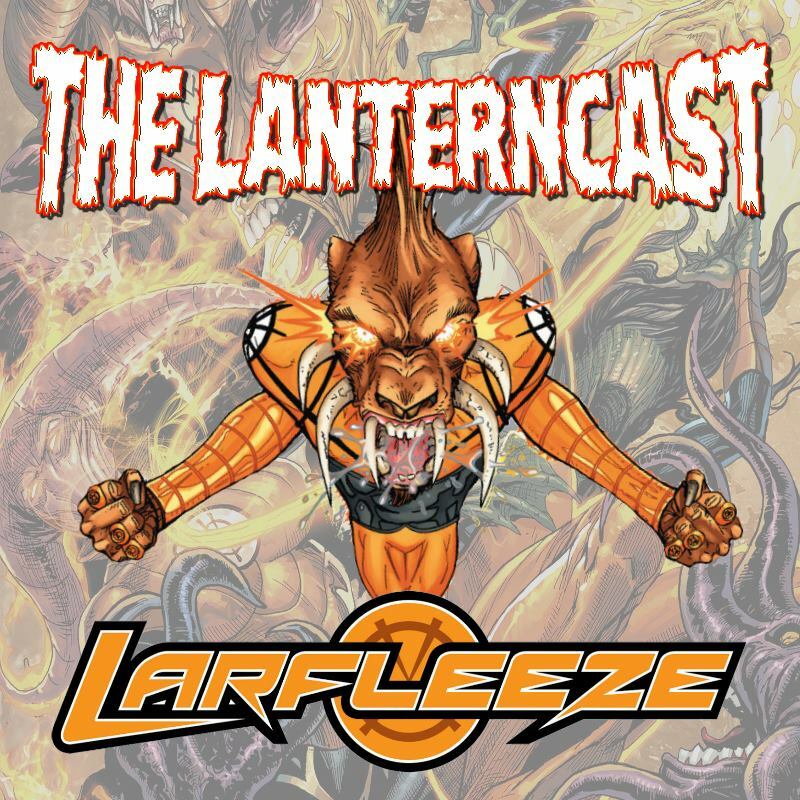 LanternCast Episode #342 – Larfleeze! A double whammy of All Hallow’s Eve goodness as Chad and Mark cover the Larfleeze back up stories from “Threshold,” followed by a post-credit review segment by Mark focusing on the recently released 2018 “Halloween” movie! Be sure to email us your thoughts or chime in on our voice-mail at 708-LANTERN! 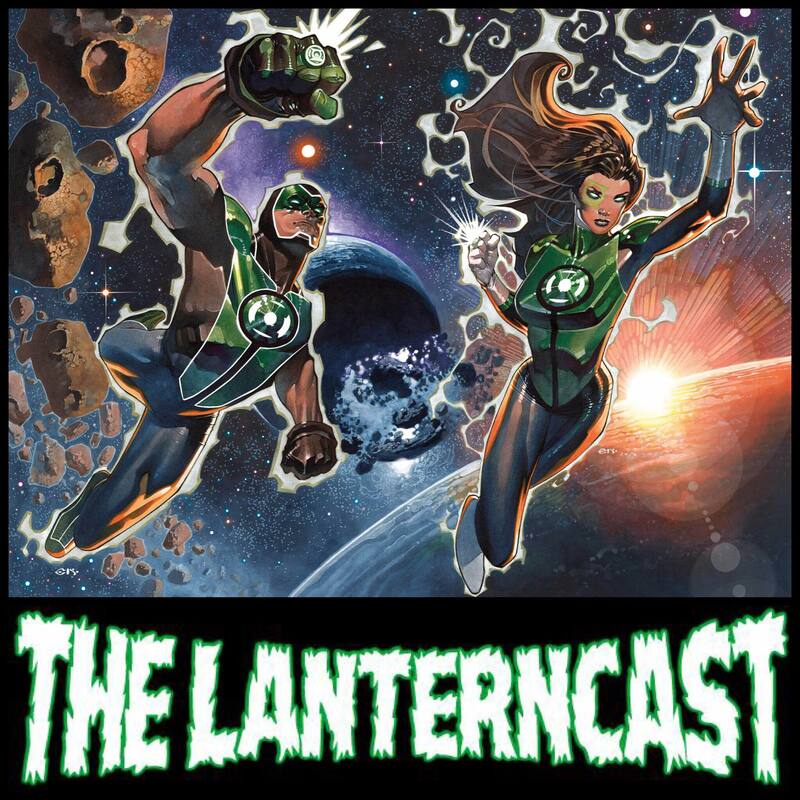 LanternCast Episode #341 – Green Lanterns #56-57! “Evil’s Might” comes to a thud of a conclusion in Green Lanterns 56-57! Cyborg Superman and Hal square off (kinda) while other super convenient things occur to help this series go out with not a bang, but a whimper. We also have time for some actual listener feedback and some TV/Movie tidbits! Be sure to email us your thoughts or chime in on our voice-mail at 708-LANTERN! 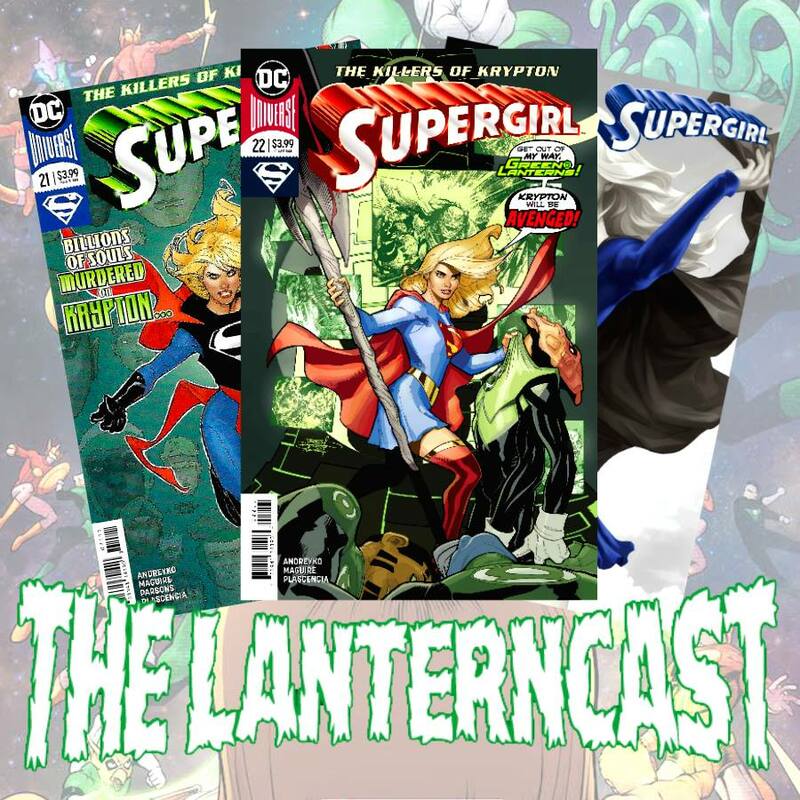 LanternCast Episode #340 – Supergirl #21-23! More current GL material gets it due as we cover Supergirl #21-23, featuring the Green Lantern Corps! “The Killers of Krypton” arc takes Supergirl from the Coast City to Mogo as she begins to unravel the secrets behind Krypton’s destruction! Be sure to email us your thoughts or chime in on our voice-mail at 708-LANTERN! 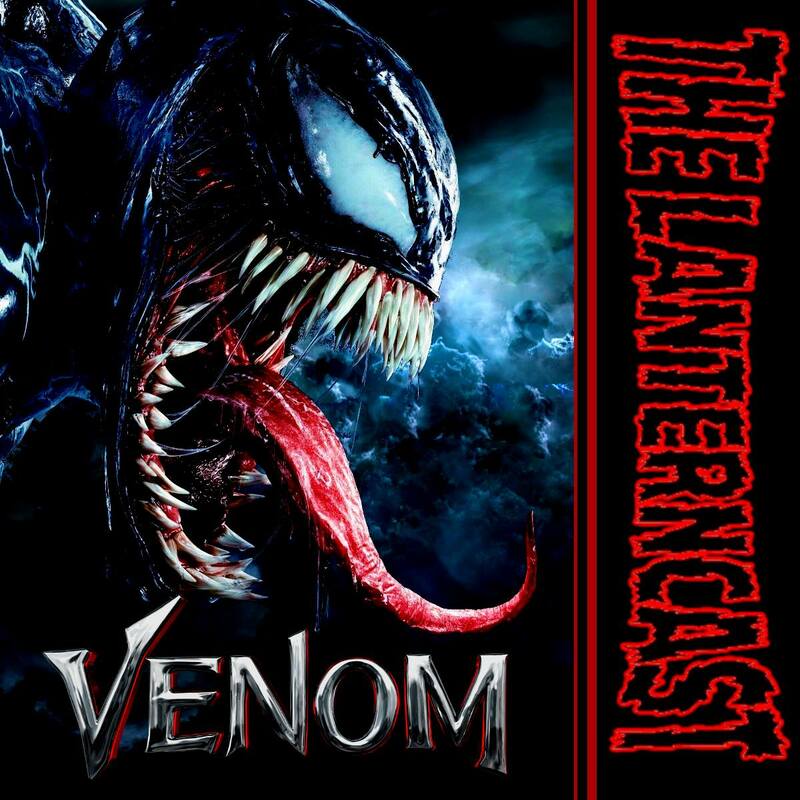 LanternCast Episode #339 – Venom! This is the one Chad’s been waiting for: The Venom Movie Review! We discuss all things Venom in this spoileriffic episode! There’s also time to discuss Dark Phoenix, Aquaman and the latest James Gunn news/ rumors! Be sure to email us your thoughts or chime in on our voice-mail at 708-LANTERN! 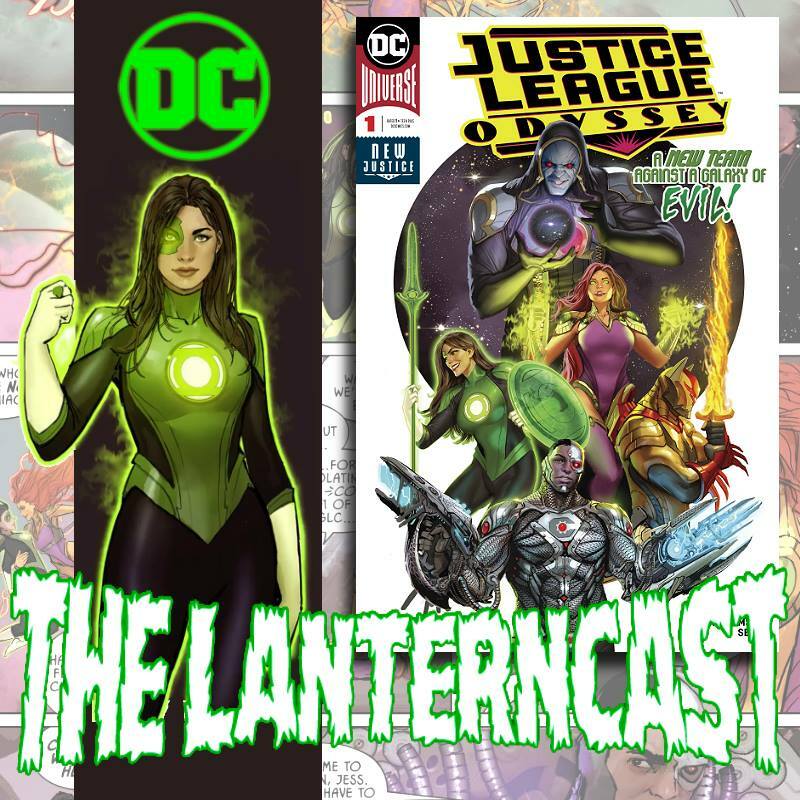 LanternCast Episode #338 – Justice League Odyssey #1! Chad and Mark actually get to cover some new Green Lantern material (kinda) as they review Justice League Odyssey #1! Jessica Cruz joins forces with Cyborg, Starfire and Azrael (???) for outer space hijinks! And there’s this Darkseid guy too. We also discuss our week in streaming from Netflix and Amazon prime, do listener feedback and shake our heads at the critics take on Venom! Be sure to email us your thoughts or chime in on our voice-mail at 708-LANTERN! LanternCastVIDS Presents: “VENOM – Unboxing Marvel Collector Corps”! Sony’s first entry into their new Spider-Man villains Universe is HERE as Venom hits theaters! So in celebration Chad decided to order the Funko Marvel Collector Corps subscription box with it’s all Venom theme! Check out the episode below!